To fill an object, click one of the options listed on the Fill tab. Each option is described below. This removes the fill from the object. Anything behind the object will show through, since it has no fill. This fills the object with a single color. Use the eydropper tool to match the color of anything visible on your screen. Just click the eyedropper, then click any color on your screen. 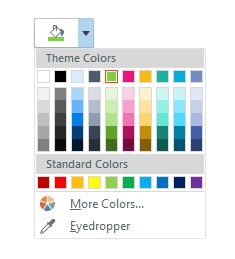 If the color you've chosen is something you want to save for easy selection later, click Add to Custom Colors. The color will get added to the bank of Custom Colors in the lower left corner. When you're finished, click OK to close the window. Back on the Format Shape window, drag the Transparency slider or enter a percentage to make the object semi-transparent. This fills the object with a gradient of two or more colors that blend into one another. Use the Preset colors selector to choose from several ready-made gradients, or use the other fields on the window to create a custom gradient. Angle: If you're using a Linear gradient, this field lets you specify the angle of the gradient. 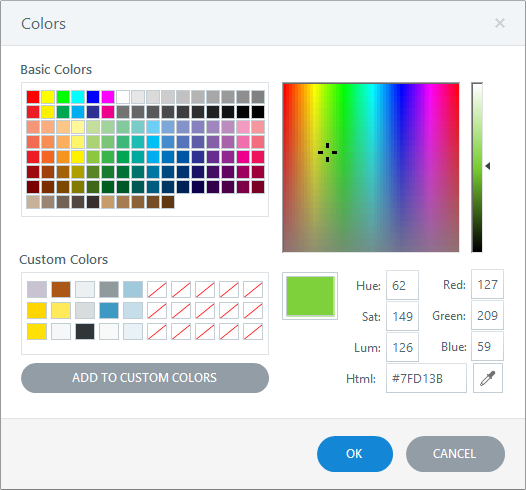 Color: Choose from the colors shown or select More Colors to choose a custom color. Rotate with shape: Mark this box to keep the gradient aligned to the object’s orientation if the object is rotated. This fills the object with a texture or image. 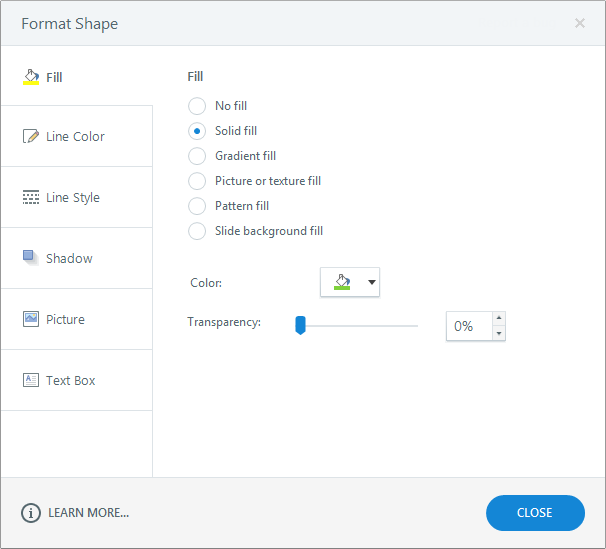 Use the following options to customize the texture or picture fill. Texture: Use this selector to choose one of the built-in texture choices. Insert from: If you’d prefer to use an image of your own rather than a built-in texture, click File to browse to the image, or click Clipboard to use the current contents of your clipboard. Tile picture as texture: This affects the way the image or texture gets tiled (repeated) within your object. If you don’t mark this box, the image will stretch to fill the object. 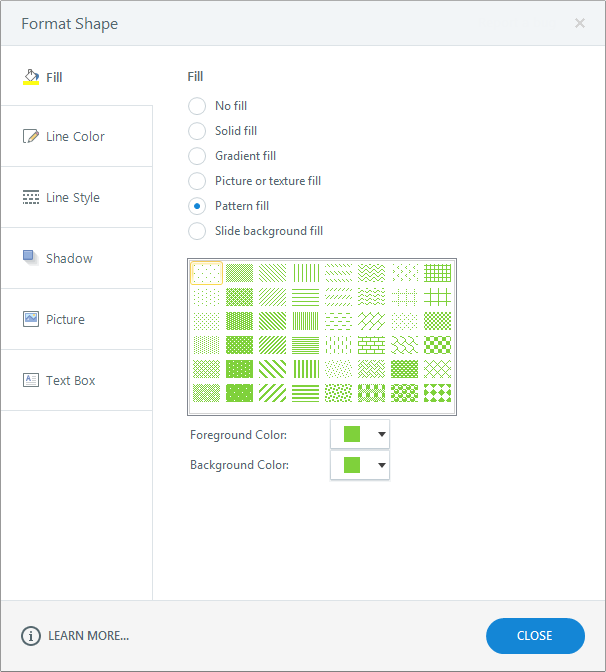 If you do mark this box, Articulate Storyline will tile multiple copies of the same image as a texture within the object. 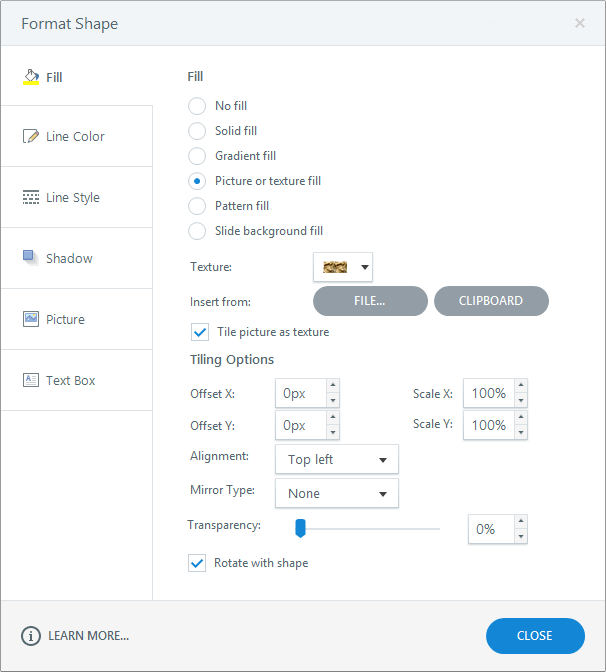 Depending on your choice, you’ll see some additional Tiling Options or Stretch Options below the check box. Rotate with shape: Mark this box to keep the fill aligned to the object’s orientation if the object is rotated. This fills the object with a pattern. Choose a pattern, then use the Foreground Color and Background Color selectors to change the colors of the pattern. (The color choices are controlled by your theme colors.) If you don’t see the color you want, choose More Colors or the Eyedropper to specify a custom color. This fills the selected object with the background of the slide. 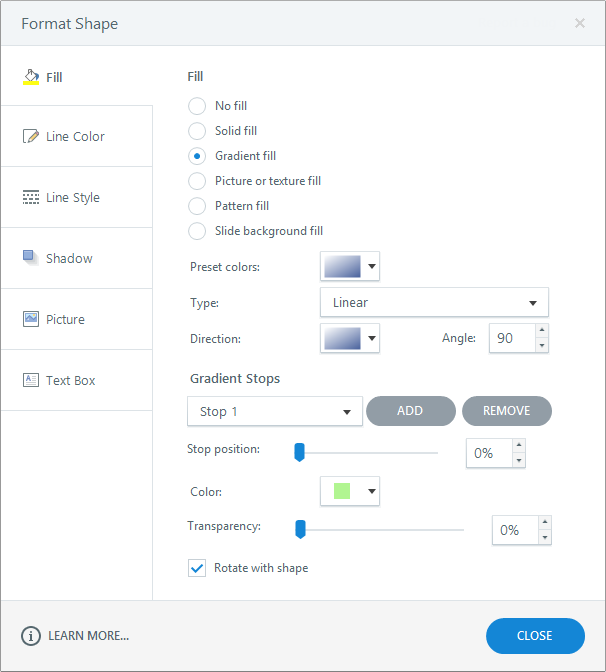 For help customizing the slide background, see this tutorial.